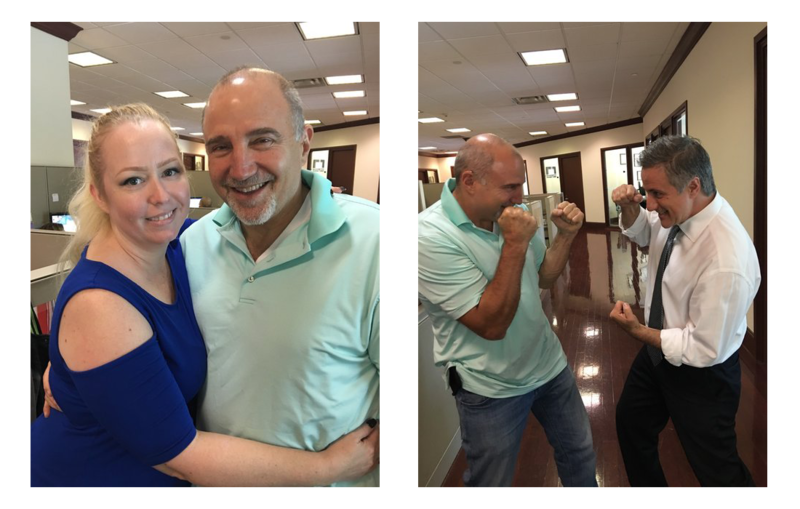 Within the walls of Santucci Priore P.L., we’ve seen our fair share of clients from all walks of life, from mild-mannered businessmen to absolute wild cards and everything in between. Some lead lives that are downright inspirational and it is those clients who are remembered with fond admiration. One of our most respected and well-loved clients is Dr. Harold “Hackie” Reitman, who is not only a now-retired orthopaedic surgeon but also a philanthropist and children’s activist, author, entrepreneur, film maker, and a strong advocate for understanding the concept of “neurodiversity.” To top it all off, Dr. Reitman was also a former professional heavyweight boxer. Dr. Reitman has received numerous accolades over the years for his work, including the Emerald Society 2000 Humanitarian of the Year Award and the Healthy Mothers-Healthy Babies 2002 Honorary ‘Mr. Mom’ Award. One of his recent speaking engagements was giving the keynote address for the AADMD at the Special Olympics in Los Angeles, alongside Tim Shriver. During the 1990s, Dr. Reitman juggled simultaneous careers in orthopaedic surgery and professional boxing, earning himself the title, “The Boxing Doctor.” With a lifetime record of 13 wins (11 being knockouts), 7 losses, and 6 draws, he donated all winnings to various children’s charities, citing his daughter’s health struggles as his inspiration. Dr. Reitman was inducted into both the Florida Boxing Hall of Fame and the Broward Sports Hall of Fame. In 2015, Dr. Reitman wrote, produced, and co-directed indie film about a college student with undiagnosed Asperger’s Syndrome, The Square Root of 2, starring Darby Stanchfield of ABC’s hit TV show, Scandal. Dr. Reitman’s own daughter, Rebecca, would later graduate with a degree in Discrete Mathematics after being diagnosed with Asperger’s Syndrome herself. To aid those living with neurodiversity, he penned the book, Aspertools: A Practical Guide for Understanding and Embracing Asperger’s, Autism Spectrum Disorders and Neurodiveristy, along with a documentary of the experience called, Asperger’s, Autism, and The Square Root of 2: A Neurodiversity Documentary. The community site based on neurodiversity features news, blogs, videos, podcasts, documentaries, and resources to aid those in need of inspiration and furthering their knowledge of every condition that may be considered “neurodiverse,” whether it be Asperger’s Syndrome, OCD, ADHD, or Autism. Dr. Reitman’s latest interview, Justice for the Neurodiverse with Judge Ginger Lerner-Wren, can be found in its entirety here.